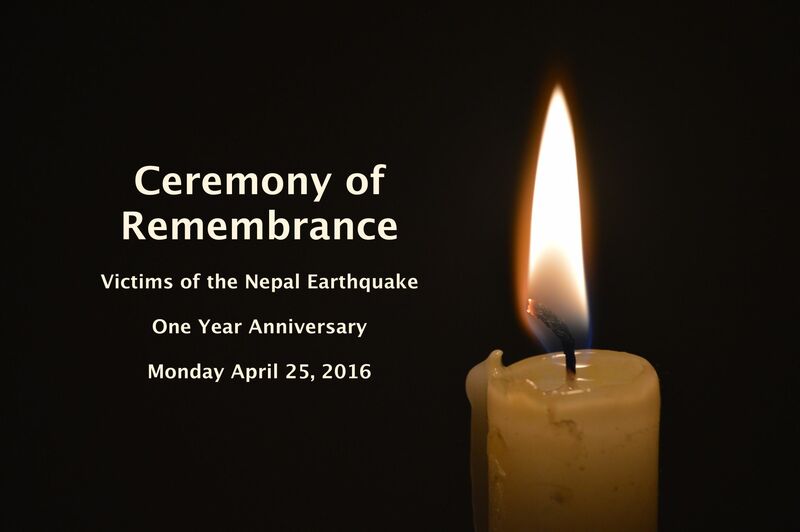 Colorado Nepal Alliance is joining with other Colorado-based nonprofits to remember the victims of the April 25, 2015 earthquake. Join us at the Posner Center for International Development on Monday April 25th. Doors open at 5pm. A panel discussion takes place at 6pm discussing the challenges of post-earthquake reconstruction. The Ceremony of Remembrance begins at 7:15 pm.